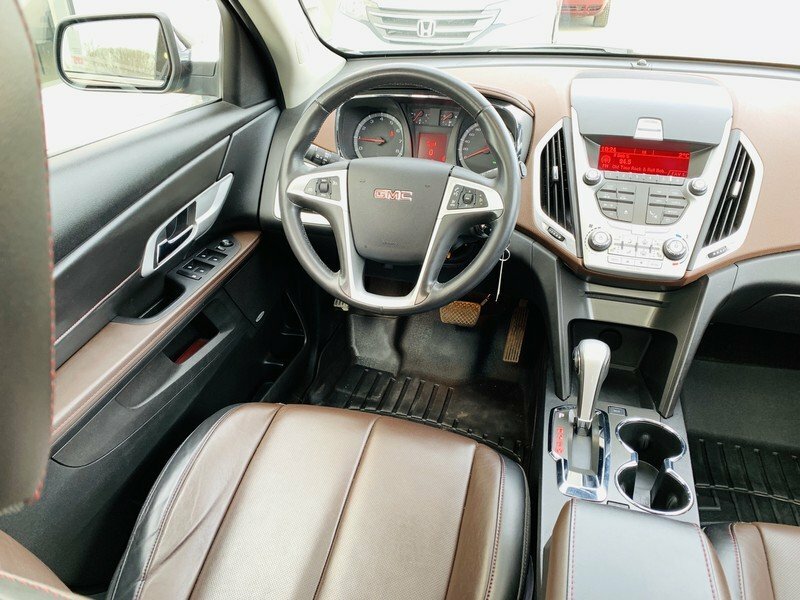 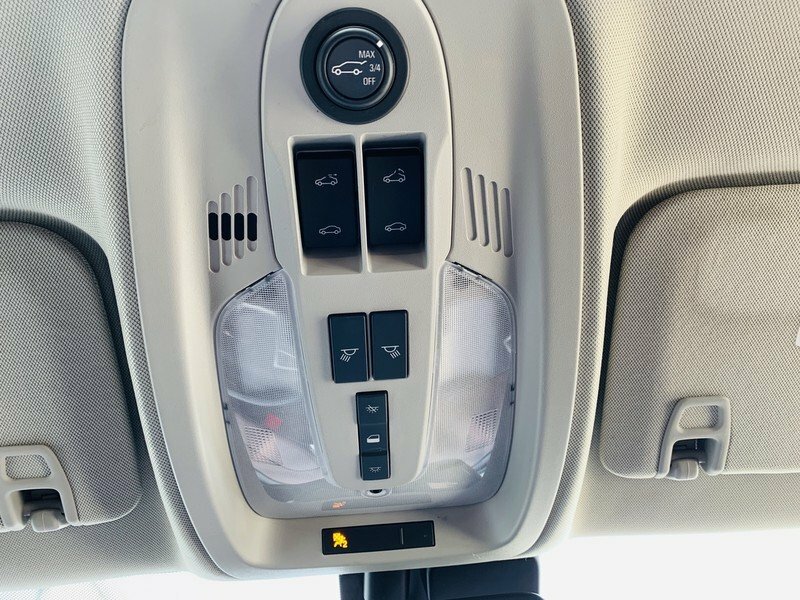 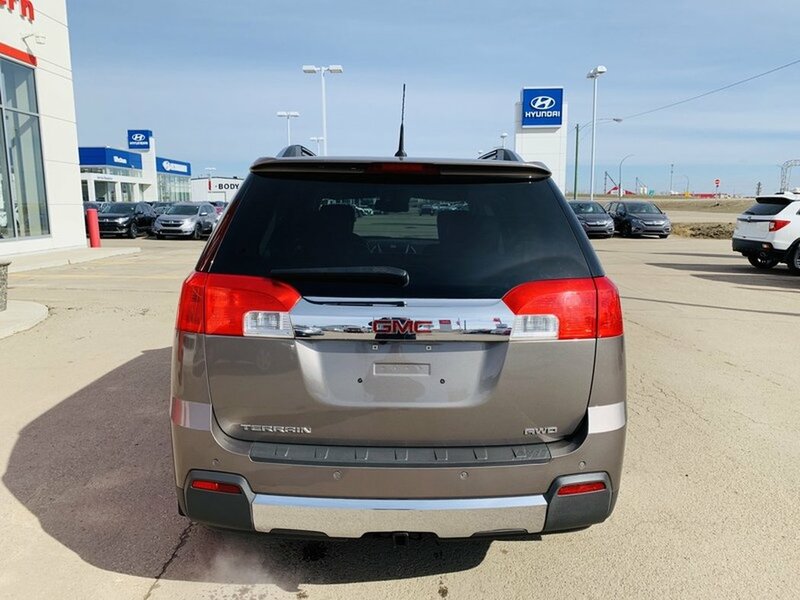 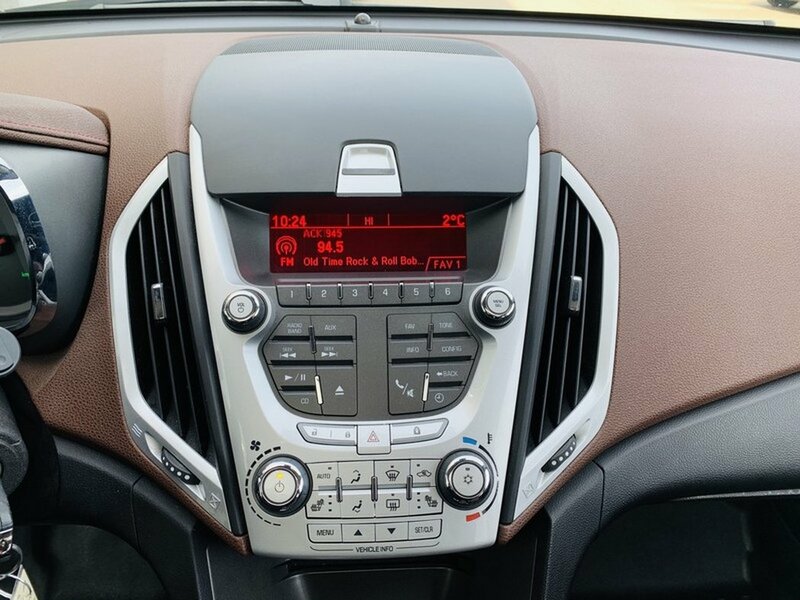 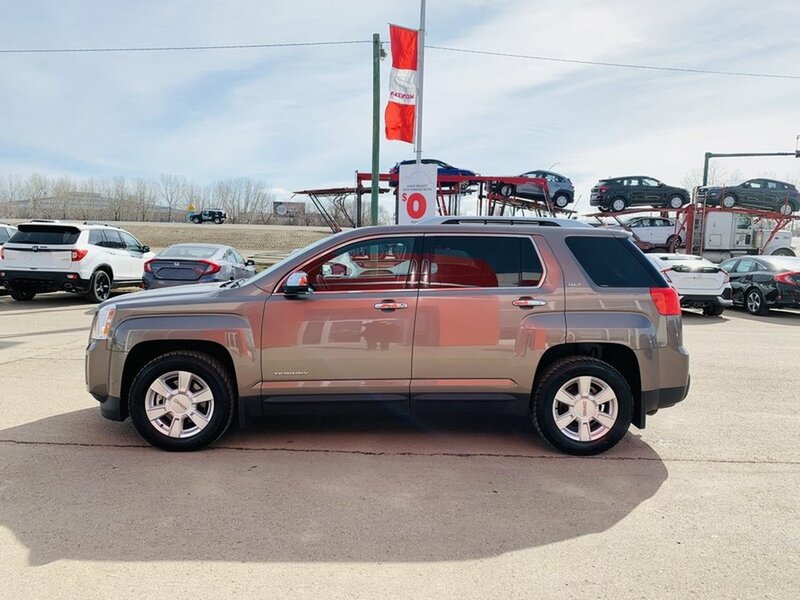 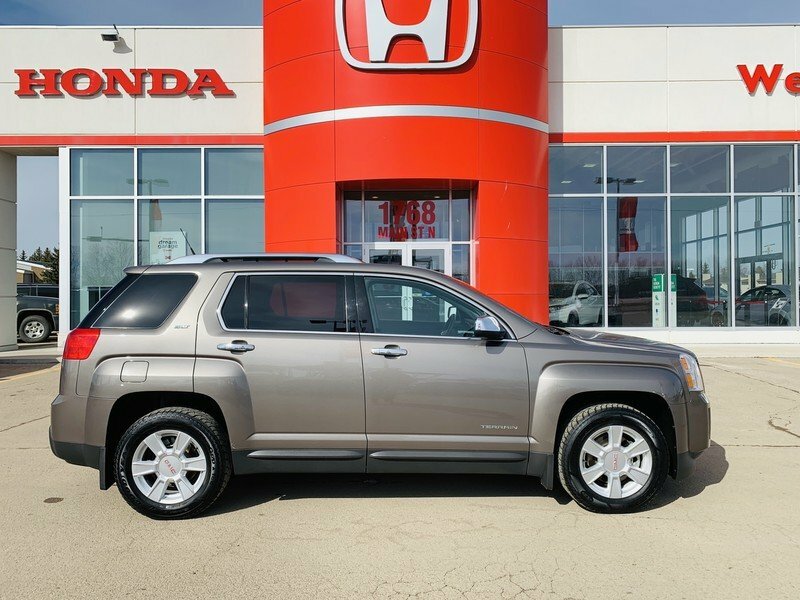 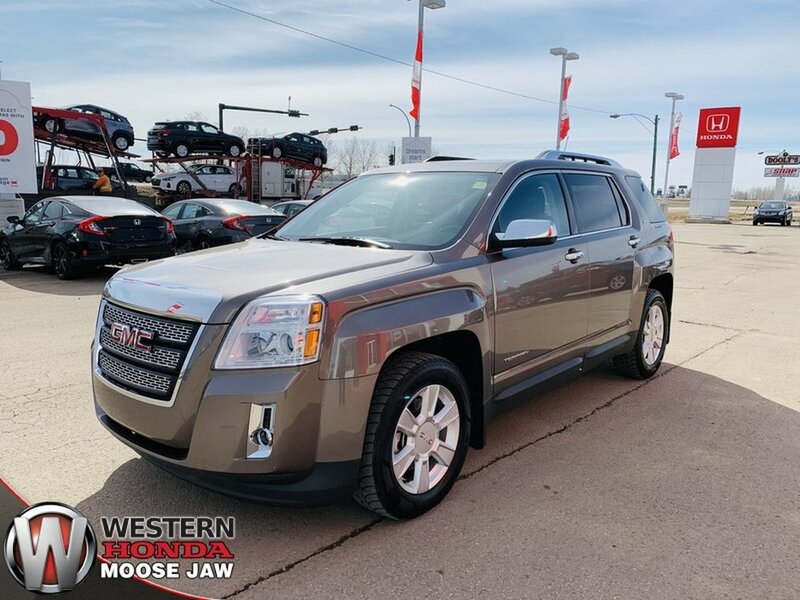 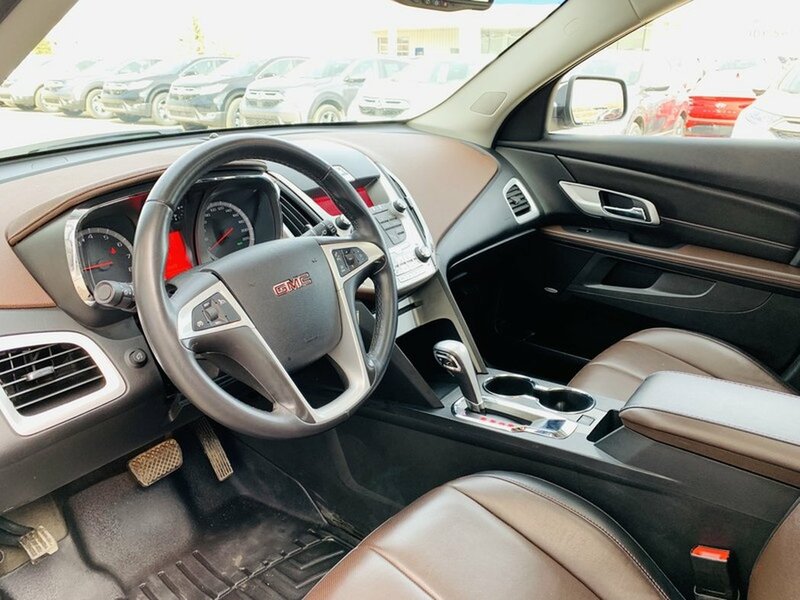 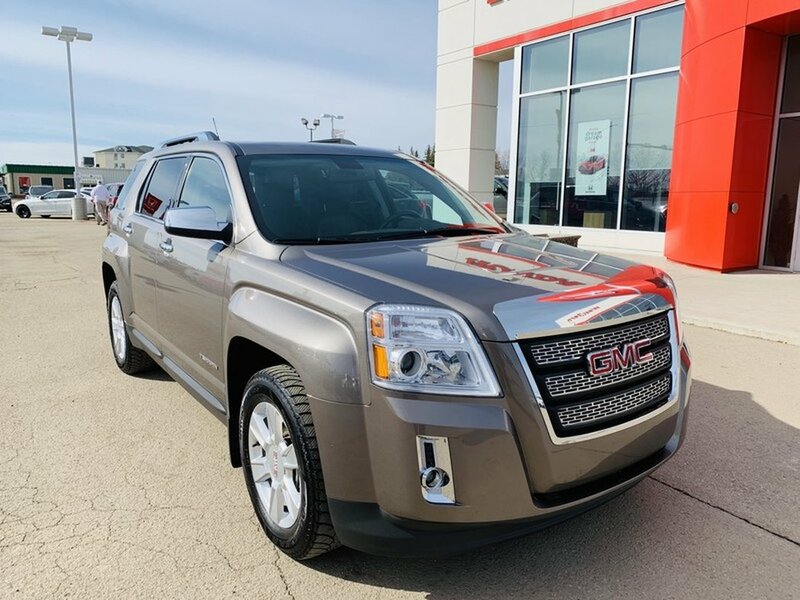 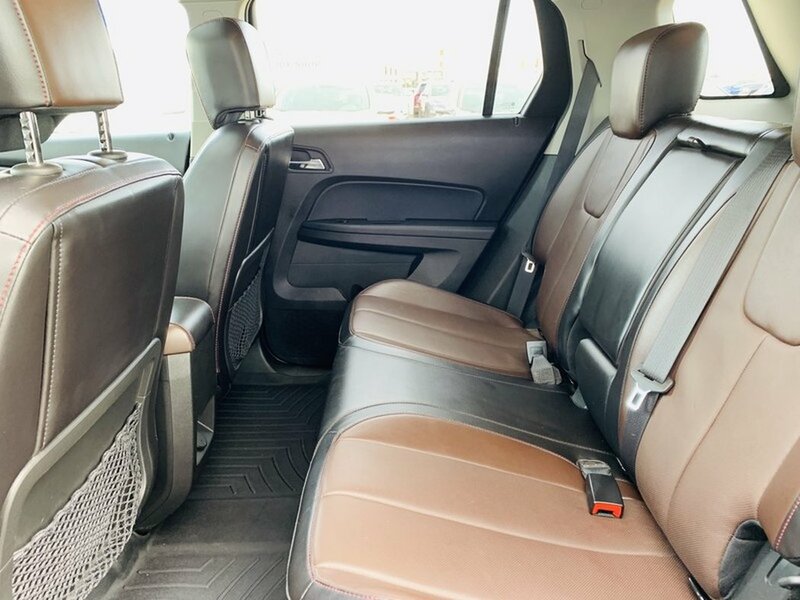 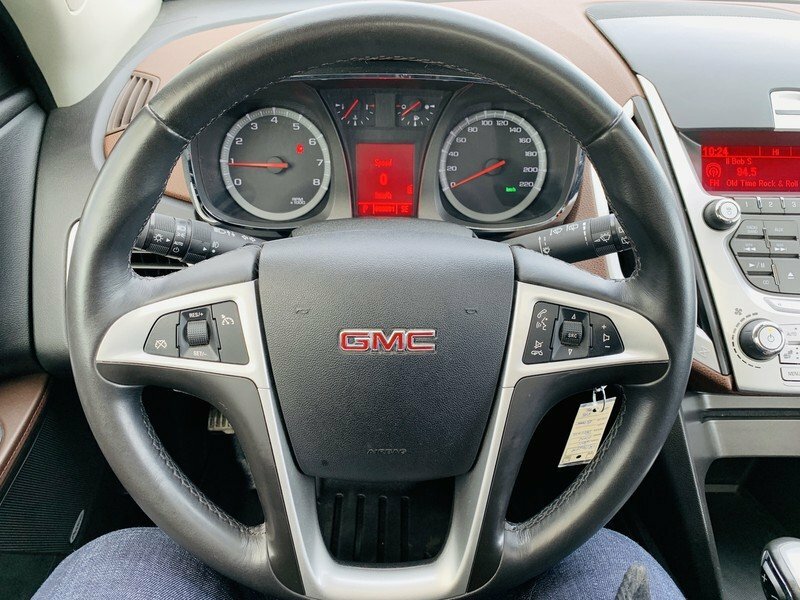 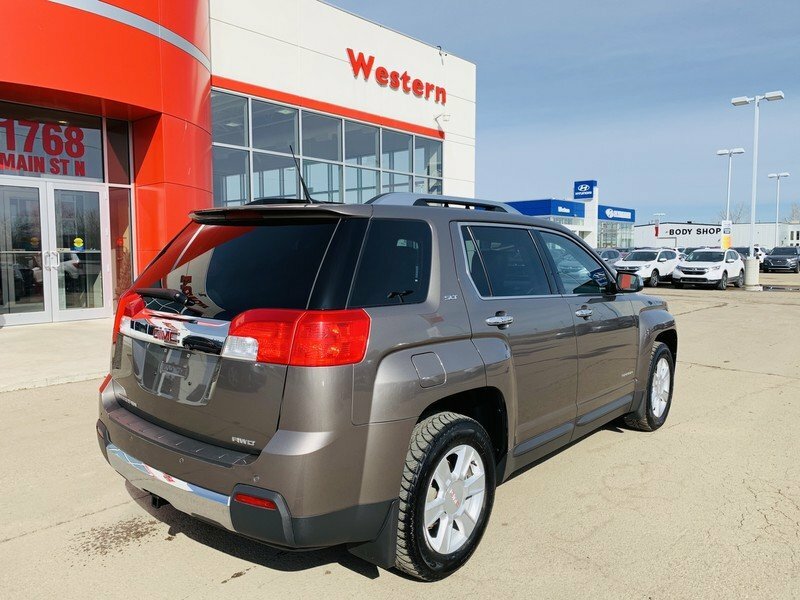 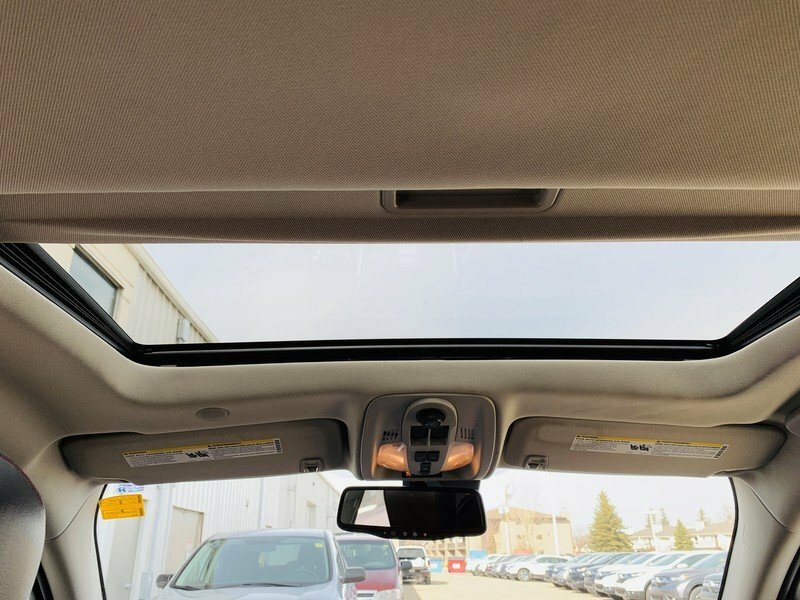 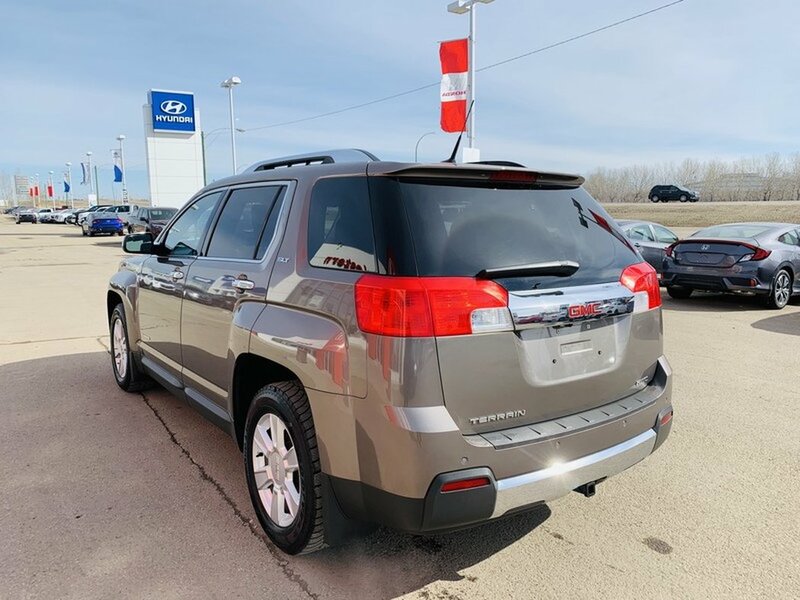 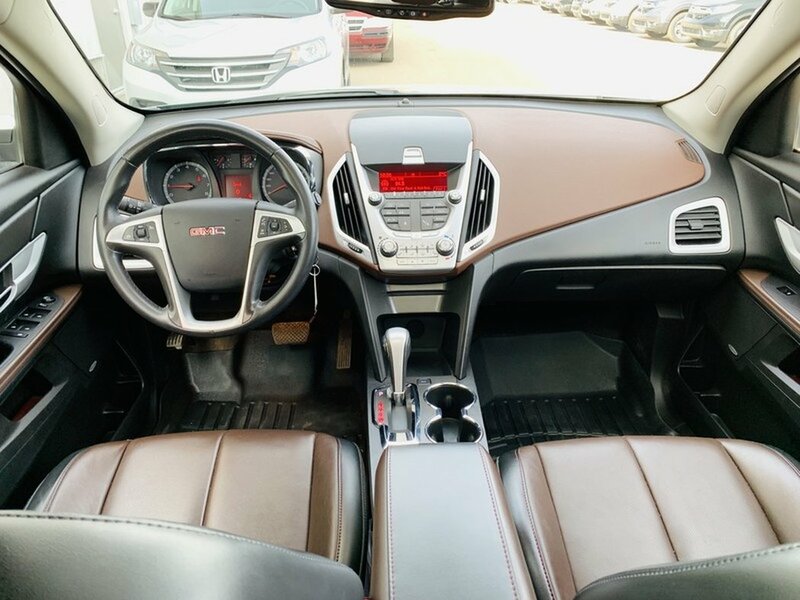 This local 2011 GMC Terrain SLT-2 is one of GMC’s most popular SUVs. 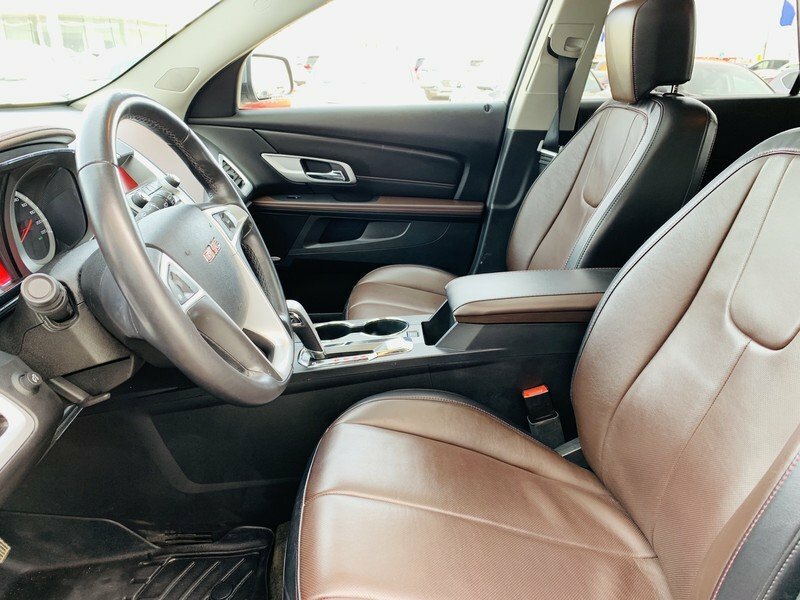 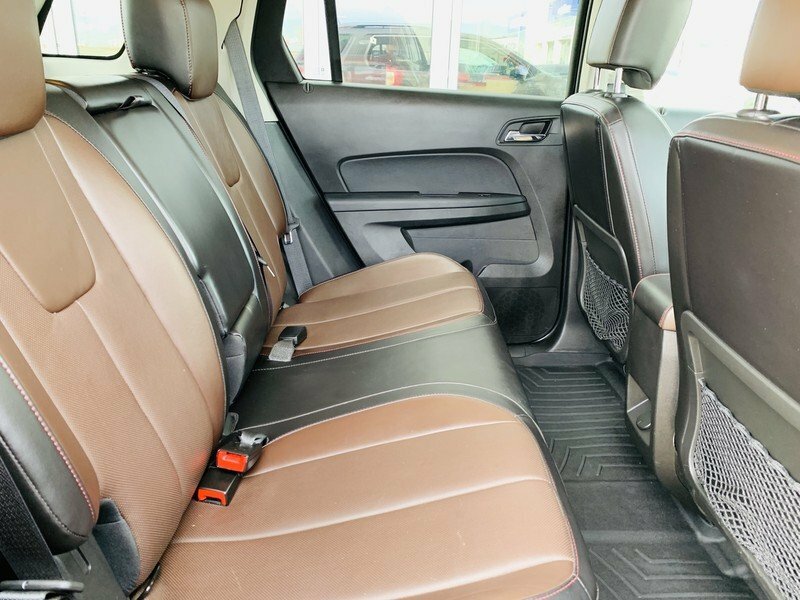 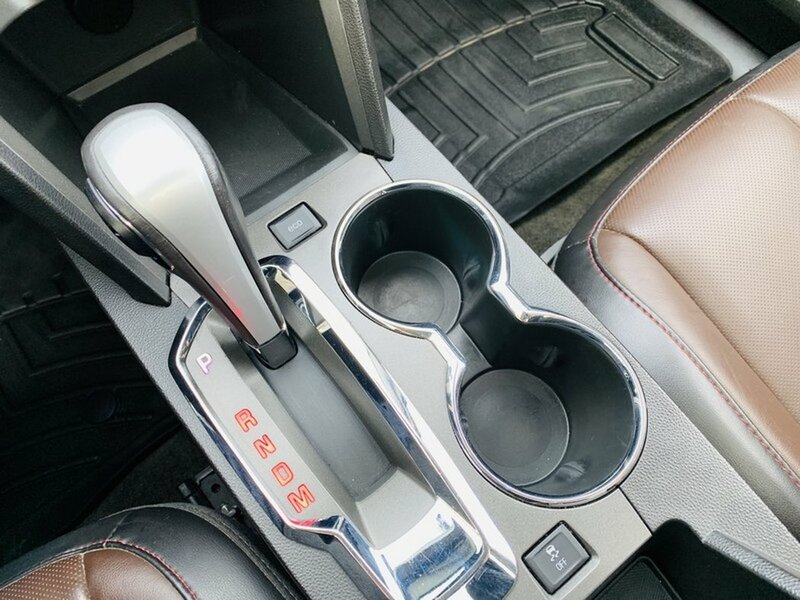 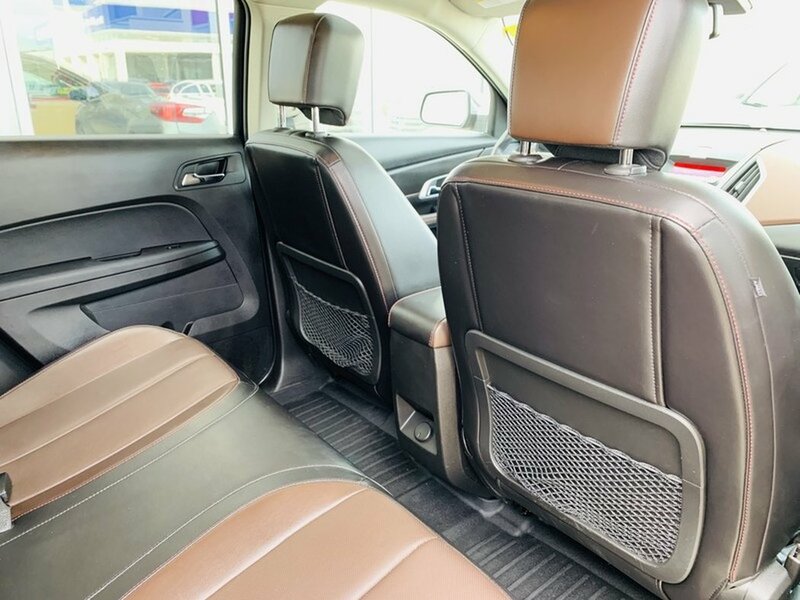 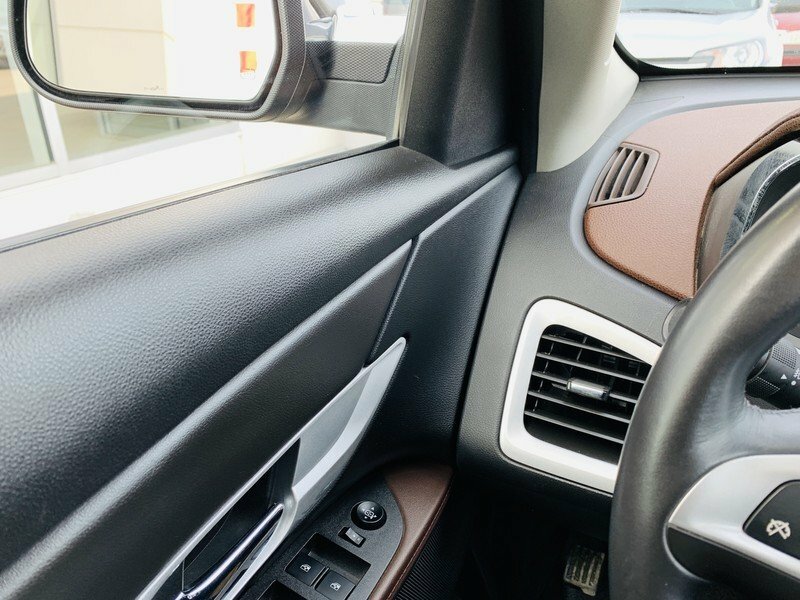 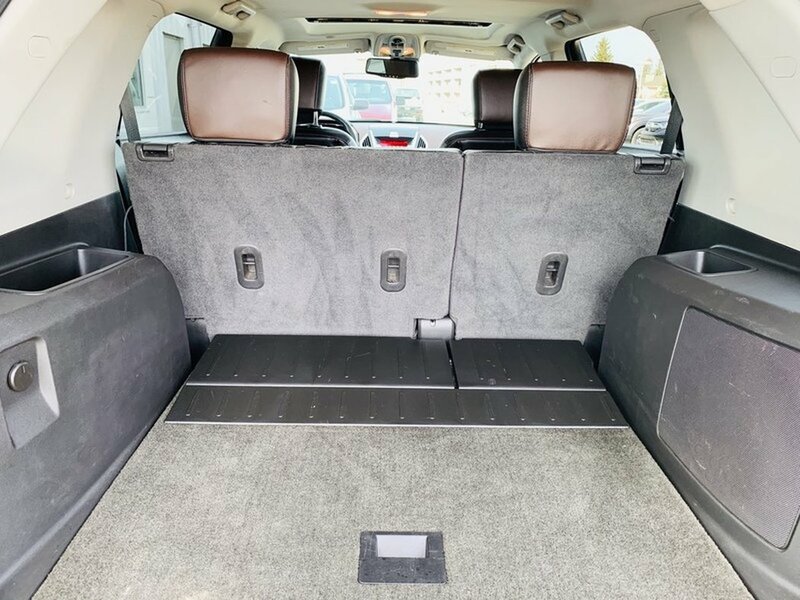 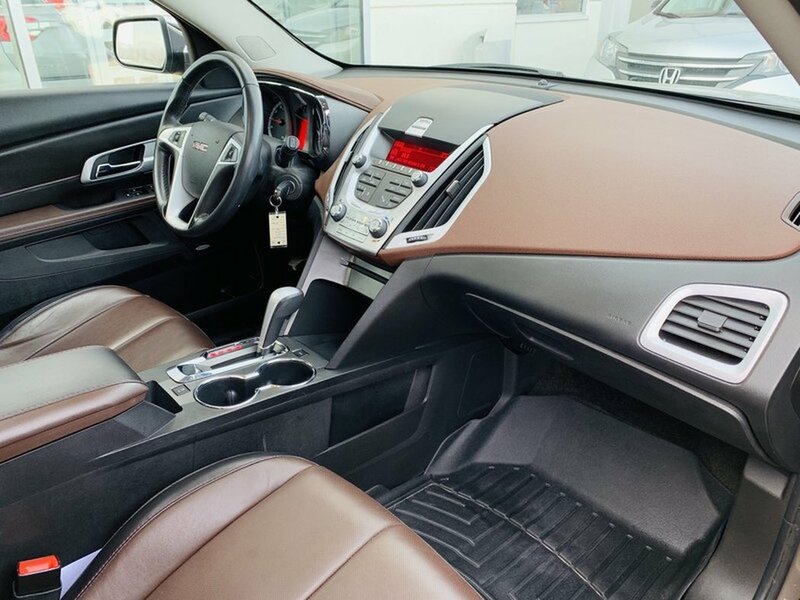 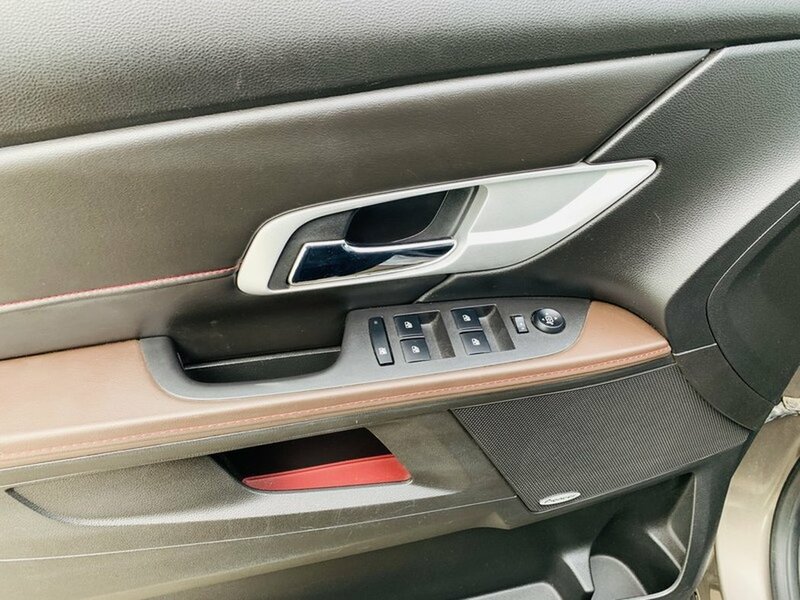 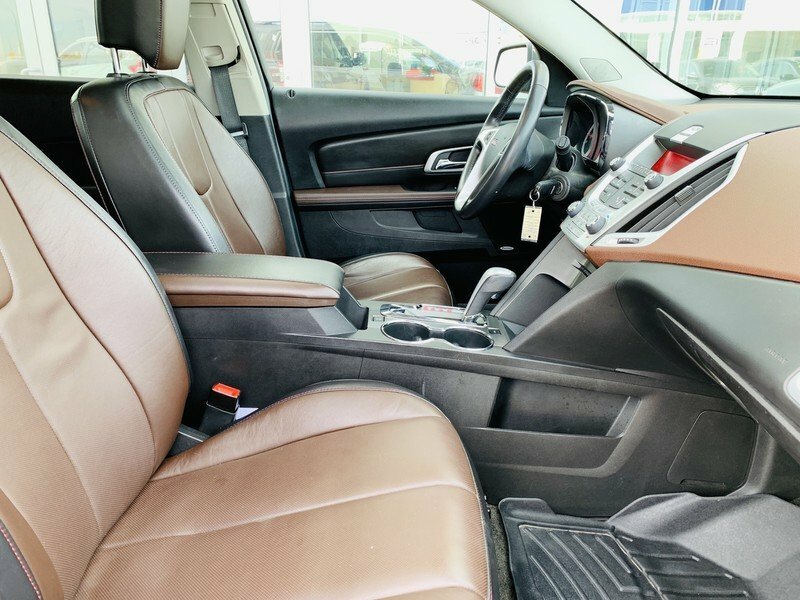 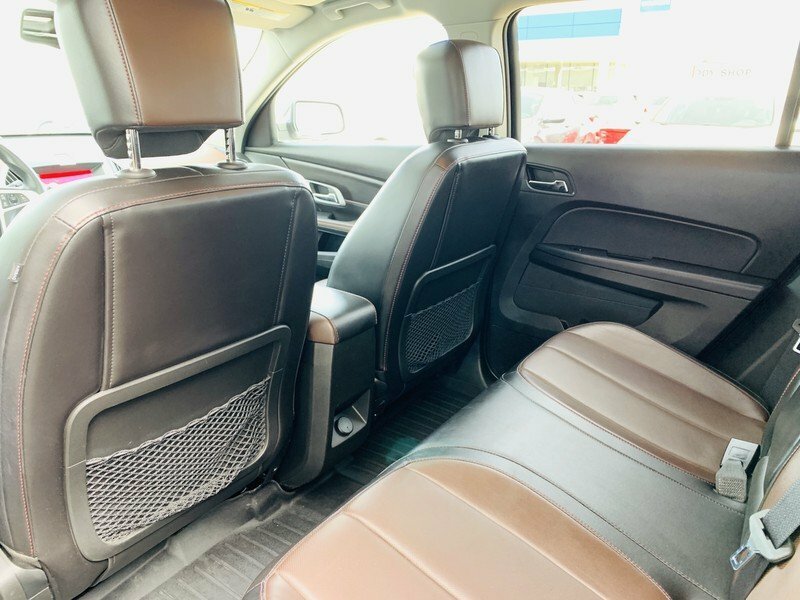 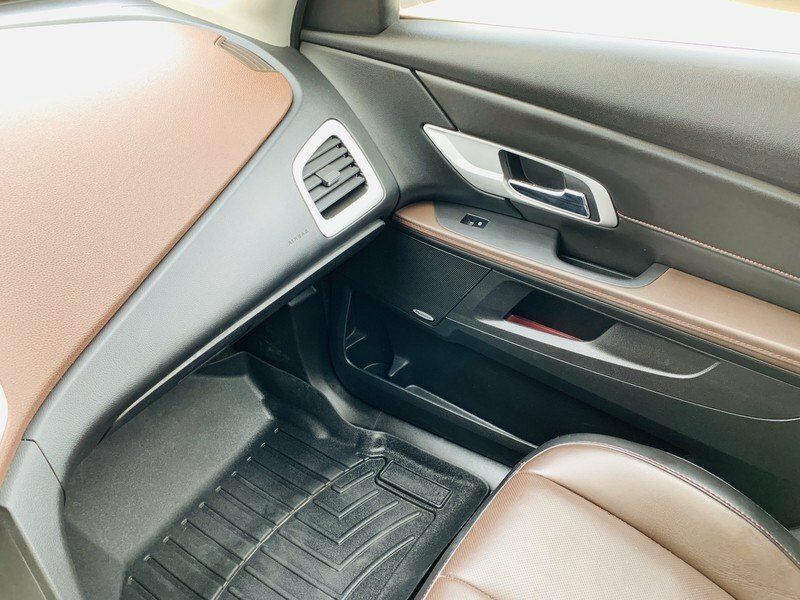 The “Mocha Steel” exterior is in excellent condition paired with a two tone leather interior. 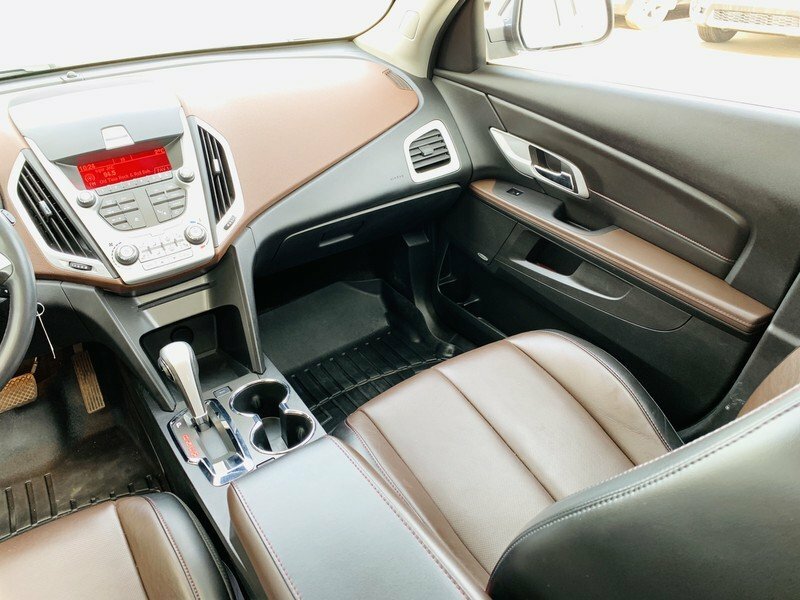 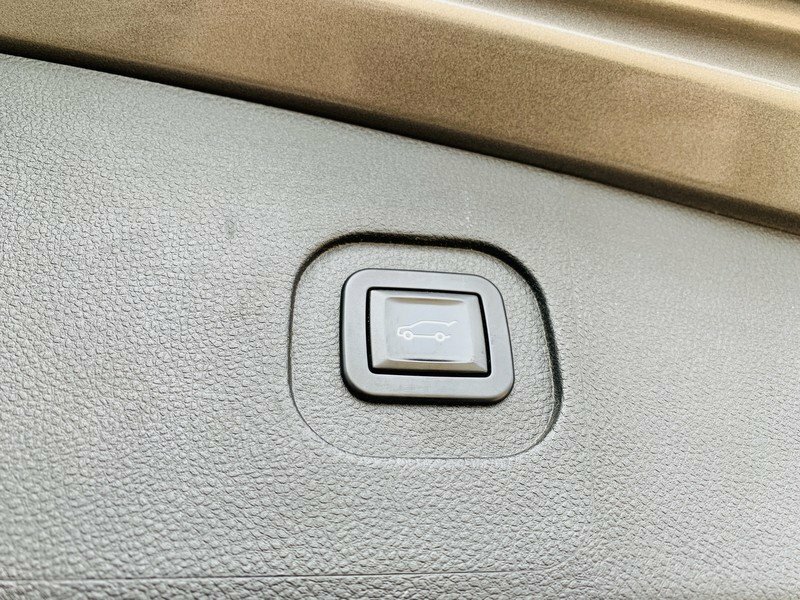 The 2.4L 4 cylinder engine is capable but also fuel efficient when driven conservatively. 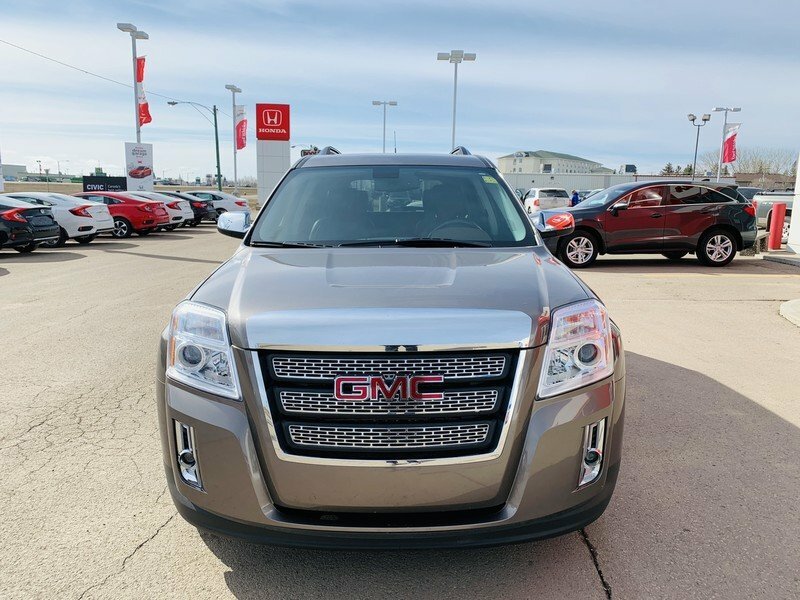 Features on this GMC include OnStar, body-coloured door handles, chrome exterior accents, body-coloured front and rear fascias, deep tinted glass on rear doors and cargo area, chrome grille surround, automatic headlights, fog lights, tilt-and-telescopic steering column, power-adjustable heated side mirrors, backup camera, 17-inch aluminum wheels, air conditioning, front floor console, floor mats, multi-function trip computer, power locks with keyless entry, steering wheel-mounted stereo, cruise and Bluetooth controls, four-way adjustable driver's seat with lumbar, heated front seats, sliding and reclinable rear seats with 60/40 split fold, roof rack, automatic climate control, tire pressure monitoring, ambient interior lighting, leather-wrapped steering wheel, power eight-way driver's seat, premium leather seat upholstery, eight-speaker stereo with subwoofer and IntellilLink.